91’ - Unreal. FCD just scored. What is happening right now. 92’ - Are. You. Kidding. Me. 3-3 aggregate. If this holds, added time. Good lord, Chad Marshall goal. Seattle back on top in the final minutes in Dallas. 1st goal of the year. 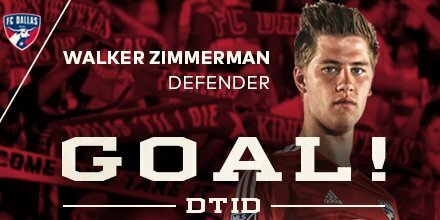 Lol Zimmerman scores for Dallas. Heading to extra time? 94’ - Zach Scott is cramping. Me too, captain. Me too. 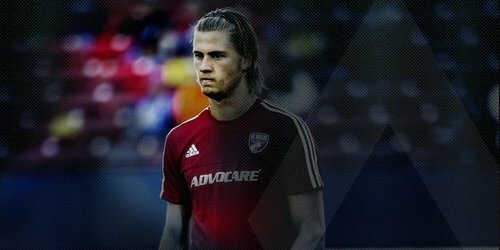 95’ - FCD approach: END LINE, CROSS, PRAY. It’s not not working. Oh my god this Seattle and Dallas game is absolutely insane!! 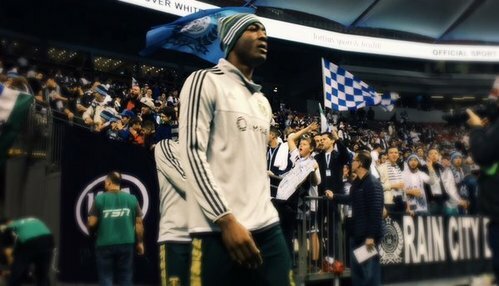 @MLS cup playoffs at its finest. 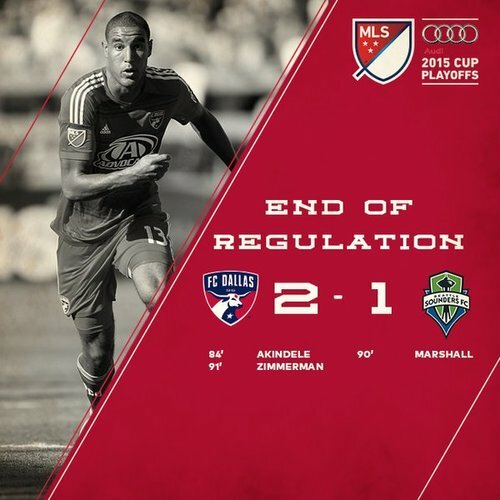 FULL TIME: FCD leads leads @SoundersFC 2-1 after regular time, which means extra time, which means HEART ATTACKS. Are we still on earth. I’ve lost all sensory control. 91’ - Oh lordy here we go again. 91’ - Castillo got into the box in 20 seconds after kickoff so this extra time will definitely be a breezy walk on some beach. 93’ - Pappa gets in behind Hedges but the ref accidentally blows for a foul and accidentally upholds it. 95’ - Pappa gets off a cross and then joins the LiveSounders Queso Club™ for a late challenge. The ol’ one-two.